April 2019 - School-Days, a South African bursary-building platform is proud to have reached the 300,000 member mark! This means that 300,000 South Africans have the opportunity to build education bursaries to help them pay towards their families’ school, college and university fees. The bursary for everyone It’s a reality that very few students are eligible for traditional academic, sporting and cultural bursaries. What’s great about School-Days is that anyone can build a School-Days bursary to help pay towards their family’s education fees. Unlike a traditional bursary, a School-Days bursary is for anyone. With School-Days, parents (or grandparents or other family or friends) can grow their own bursaries - without being subject to someone else’s decisions. There are no ‘qualifying criteria’, such as academic or sporting performance, and no financial requirements. School-Days now has over 300,000 members, and this number continues to grow as more families join School-Days and start building their own education bursaries. How the platform works School-Days sources multiple channels of getting free money, consolidated into a single bursary account. For example, when you join School-Days (for free) and shop at School-Days Partners (like Dis-Chem), you get a percentage of your spend added to your personal education bursary. This is just one of the ways to build your bursary; there are a number of other easy ways too - like tax-exempt employee benefits, making direct contributions and benefitting when friends and family spend at School-Days Partners. After building your bursary over time, you can then use it to pay towards the fees at any registered education institution. As you bursary grows and the more active you are in building it, School-Days awards you with bonuses that help you grow your bursary even faster. Ian Edwards is one of the members empowered by building a bursary through School-Days. He comments: “I hadn’t planned on having . 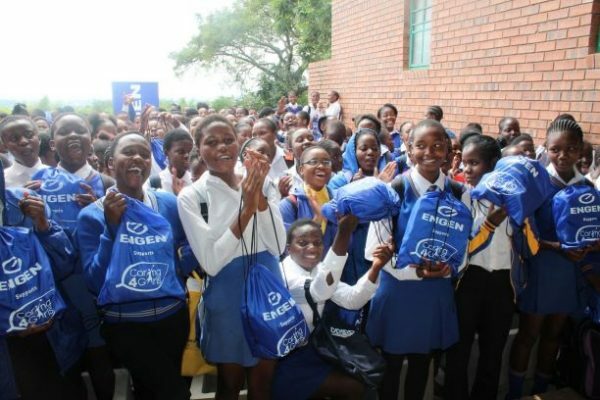 . .
Lekete Secondary School in Bushbuckridge, Mpumalanga is the first of 30 schools to benefit from Engen’s R2.5 million cash injection to the Imbumba Foundation’s Caring4Girls programme. Engen and Caring4Girls visited the school on April 11th providing female learners with sanitary towel packs to help keep them in school during their monthly cycles. Caring4Girls currently reaches 750,000 girls throughout South Africa and aims to support 1 million girls in 2019 and 2 million by 2020. Engen Managing Director and CEO, Yusa’ Hassan stressed the value of education and how important it is to ensure that all young girls are empowered and have the opportunity to realise their full potential. “We cannot thrive as a society if some of our female learners are left behind, which is why we are very proud to partner with the Imbumba Foundation and contribute to this very meaningful initiative,” commented Hassan. Engen’s Head of Transformation and Stakeholder Engagement, Unathi Magida said it is important for Engen to actively support and take care of the communities in which the company operates. “At Engen we strongly believe that a country which is educated is a country that will prosper. By supporting these young girls, we will ensure that their confidence and dignity is retained and that they never have to miss school because of their monthly cycle. Most importantly, these girls will receive education and training around dealing with puberty, self-care and pregnancy avoidance, aimed at boosting their confidence. Education is a key enabler to transform lives, which is why we are so passionate about this initiative.” Lekete Secondary School was selected to benefit from the programme as the school is in close proximity to the Bushbuckride Integrated Energy Centre (IeC), a partnership between Engen, the Department of Energy and the Bushbuckridge local municipality, which officially launched on the 12th April. More good news The Integrated Energy Centre, . 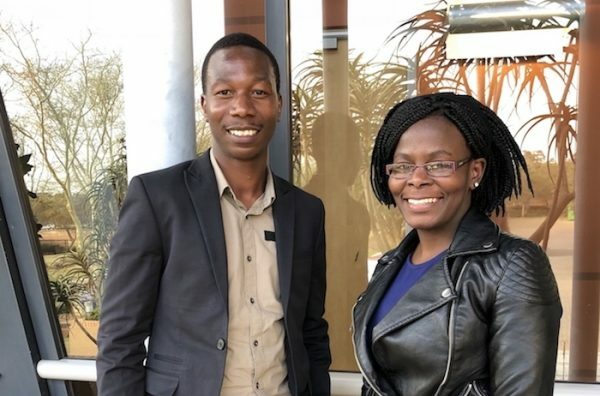 . .
Johannesburg – April 12, 2019 – For the ninth year running, the Paper Manufacturers Association of South Africa (PAMSA) is offering bursaries to eligible Bachelor of Science engineering students who wish to pursue a Master of Engineering (M.Eng.) degree focusing on biotechnology within the pulp, paper, tissue and paper packaging sectors. Each bursary is valued at R100,000 per year for two years of full-time study towards a M.Eng. degree at participating universities. Applications must be done online by Monday 29 April 2019. Pulp and paper sector part of the bio-economy Beyond the chemistry of paper, board or tissue making and paper recycling, opportunities abound for chemical and process engineers interested in the wonder of wood fibre derived chemicals, sugars, packaging innovations and applications for nanocellulose. 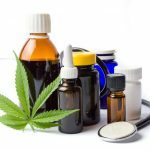 “Apart from printer paper, toilet tissue and cardboard boxes, a host of everyday products have a link back to sustainably farmed wood or components thereof,” explains Jane Molony, PAMSA executive director. South Africa grows 840 million trees over 693,000 hectares for pulp and paper making with only a small portion harvested annually then replanted in the same year. Wood pulp can be spun into viscose fabric while xylitol, the non-nutritive sweetener, can extracted from wood as a sugar alcohol during the pulping process. Powdered microcrystalline cellulose can be used as a binding, abrasive or bulking agent in toothpaste, vitamins and detergents. “As a forerunner in the bio-economy, the forestry and forest products sector is investing considerably in research and development into the uses of wood – a renewable and sustainably farmed resource – especially as the world looks to it for low-carbon alternatives to fossil-fuel based materials and processes,” Molony says. “South African pulp and paper mills can use their raw material (wood and paper fibre, chemicals and water), their equipment and processes as well as waste streams to . . .
Clinton van Boomen, from the Eastern Cape, scooped an individual award at the 2018 MMI Lesedi Awards for his work with the Victory Kids Early Intervention Centre. Clinton became involved with the non-profit organisation geared toward children with special social and educational needs, when his young daughter was diagnosed as non-verbal. While the Department of Basic Education wants to see children with learning disabilities absorbed into mainstream schools as far as possible, the resources to do this are lacking. This drove Clinton’s involvement with Victory Kids, making a stand for some 40 000 students in the Eastern Cape alone, with learning disabilities in mainstream schools, but still lacking the attention they require to excel. “The reality is that the waiting list is growing faster than the rate at which schools are built, or repurposed, to accommodate special needs learners. Victory Kids caters for children presenting with Autism Spectrum Disorders, Childhood Apraxia of Speech, Hearing Impairment and General Developmental Delays. The work they do is truly inspirational, and beyond that – they touch many lives – both learners and their families. Theses diagnoses can be tough on siblings and parents too,” says Clinton. Victory Kids provides an intensive programme that includes small class group environments and intensive one-on-one therapy. Established in 2005, it grew from five to 40 enrolled children. Since 2009 to date, 60 children have graduated from Victory Kids Early Intervention Centre to mainstream special education environments. A great feat for the centre. “I have become a part of the Victory Kids team over the years. I started a support group for fathers to create a space where dads could support each other through the challenges we face. I work closely with the Operations Director Zeidie-Lee Muller, on strategic planning for corporate sponsorships and networking events. Together we launched the first Victory Kids Business Breakfast in . . .
Nelson Mandela famously stated that education is the most powerful weapon which you can use to change the world. At the same time however, our education system is in crisis. 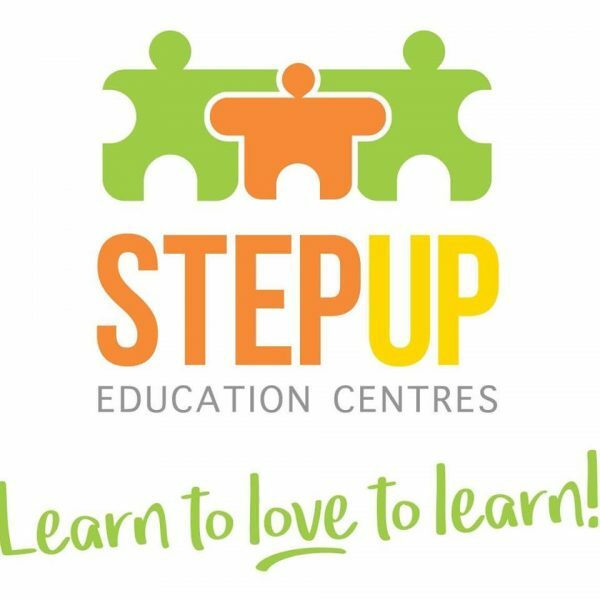 According to Cindy Glass, Co-Founder and Owner of Step Up Education Centres, “Negative behaviours such as aggression, bullying, disrespect toward teachers and peers, intolerance and demotivation seem to be hindering our children’s ability to learn effectively and this has resulted in the learning experience, in general, becoming one of distrust, anxiety, stress and misery. Our innate need to learn is being destroyed by negative human behaviours and relationships and this equates to an ever-increasing lack of empathy skills.” She adds that it takes a village to raise a child and it is time that parents step in and step up to help change the way their children see themselves and the people in their world. The one life skill that she believes can change this is empathy. “This all-important life skill is the ability to identify with another person’s feelings and experiences. Empathy essentially allows children to ‘walk’ in another’s shoes and it teaches them to genuinely have respect for others, even in difficult circumstances. It teaches kindness, compassion and listening skills. Empathy teaches children to seek the good in others and to embrace differing beliefs and cultures. Empathy helps children to seek positive solutions to difficulties and challenges, without intending hurt for another. 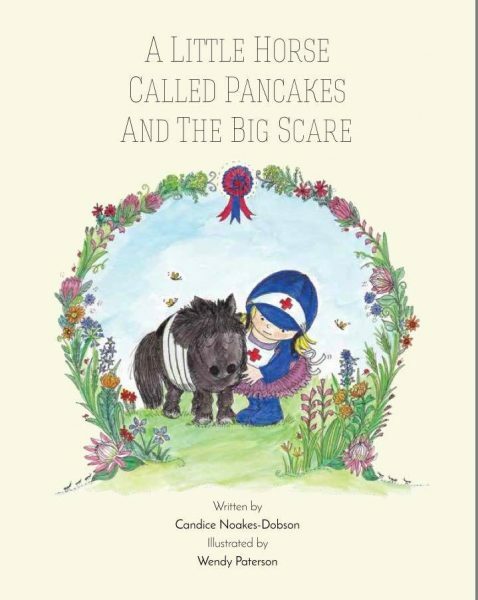 Just imagine the possibilities in learning if our children could master the skill of empathy!” Cindy gives 5 helpful tips to teach your child to become more empathetic: 1. YOU are your child’s first and longest-lasting teacher: Your child is more likely to do what you do, rather than what you say. It is up to you to model, instruct and expect your child to care about and behave respectfully toward others. 2. Teach your child to express himself in a positive way: If he is upset, teach him to express . . .
08 April 2019 - Submission period for Green Talents award has started Become a Green Talent, connect with an outstanding network of excellent scientists and Germany’s sustainability research elite and promote your ideas Johannesburg: How can we realise good and healthy living conditions for everyone around the world when global climate change challenges today’s economies and lifestyles? How can we preserve our planet’s resources for future generations? How can research contribute to more sustainability? These questions are at the centre of the “Green Talents – International Forum for High Potentials in Sustainable Development”. It invites you as a creative and open-minded scientist to apply with your project to showcase your research to a broader public, to discuss with renowned experts, and to conduct your research in Germany. With this year’s special focus on the question of how digitalisation can promote more sustainability in science and our societies, the motto of the 2019 competition is “Smart Green Planet – Solutions for a Sustainable Future”. However, applications from all disciplines are highly welcome and the research does not need to have a direct link to digitalisation. 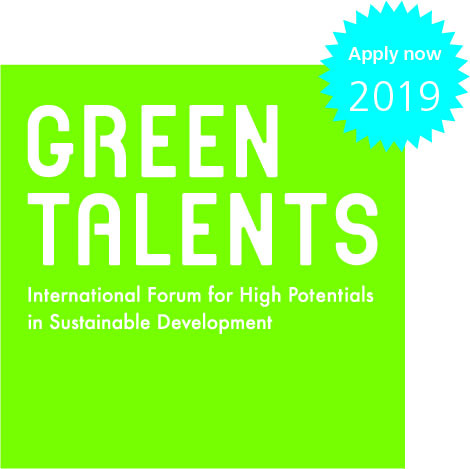 As a successful Green Talent 2019, you will receive An invitation to the fully funded two-week Green Talents Science Forum 2019, consisting of the Visits to leading German sustainability facilities, institutions and companies with exclusive insights into their pioneering research and projects, Individual appointments with German experts of your choosing to discuss possibilities of upcoming joint research and cooperation efforts, Networking opportunities at the 10-year anniversary Green Talents alumni conference in Berlin with key representative of the German sustainability landscape, a fully funded research stay of up to three months at an institution of your own choice in Germany in 2020 exclusive access for you to the prestigious Green Talents alumni . . .
National reading-for-enjoyment campaign, Nal’ibali, is launching a loyalty programme for South Africans committed to making a difference in children’s reading development. Known as FUNda Sonke, isiXhosa for ‘everyone read’, the programme seeks to grow and support the campaign’s network of more than 17 000 literacy volunteers, known as FUNda Leaders, nationwide. Launched in 2016 in response to public demand, the FUNda Leader network brings South Africans into the campaign in mentoring children to read and enjoy books and stories. And, while reading regularly brings children many rewards, such as improved school performance, better job prospects and higher levels of self-confidence, the FUNda Sonke loyalty programme brings benefits to the adults who make this possible. FUNda Sonke members can earn points by completing online training courses and taking part in monthly literacy challenges. Points accumulated through participating in various activities can be redeemed for books, airtime and subscriptions to the Nal’ibali multilingual newsprint supplement. “With 17 000 active FUNda leaders nationwide, the time seemed right to take this campaign to the next level,” said Nal’ibali Managing Director Jade Jacobsohn. “FUNda Sonke takes all the elements of our successful volunteer programme and rewards South Africans for being the everyday magic that help make our children flourish.” The FUNda Sonke programme will be activated in a series of pop-up events from April 8-12 in seven provinces. A list of these events, which will spread information on the FUNda Leader network and offer opportunities to sign up to both the network and the loyalty programme, is available from www.nalibali.org. Sharing her own love of stories and encouraging young people and caregivers to join, SABC 1 Uzalo’s actress and storyteller Mpumy Ndlovu will be attending the KwaZulu-Natal sign-up events and championing the drive. “Reading makes me feel empowered and enlightened. I have . . .
ITSI, the pioneering provider of educational tools based on established research in the field of educational neurosciences, is proud to announce that Dr Daisy Pellant, Director at the prestigious Peter Clark Center for Mind, Brain, and Education in Minneapolis, will be presenting at ITSI’s workshop on “The Sciences of Learning” – the only one of its kind in Africa. 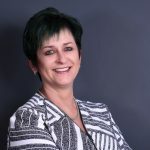 Following the success of the 2018 seminar, the 2019 workshop will explore the latest findings on neuroscience research and its relation to education, and will ask the question: “How do people learn and what can we do to improve learning?” Dr Lieb Liebenberg, Research Fellow at the Department of Informatics, University of Pretoria and CEO at ITSI, will also present at the workshop. Day one of the programme will focus on the essentials regarding Mind, Brain, and Education, exploring mindsets, knowledge and research to classroom translation skills. Mind, Brain, and Education Power Strategies for educators will be made concrete through interactive sessions within groups. Day two will focus on how educators can translate and align MBE to the design of their schools, classrooms and work with students. The workshop will conclude with practical advice on the next steps as an MBE Educator. MBEafrica19 is endorsed by SACE and attendees will receive 15 CPTD points whilst walking away from the event with a ready-to-implement action plan. Bookings are now open, please click here to secure your seat: https://www.itsieducation.com/mind-brain-education-seminar/ Speaker: Daisy Pellant Dr. Daisy Pellant is the Director of the Peter Clark Center (PCC) for Mind, Brain, and Education at Breck School in Minneapolis, Minnesota. The PCC works faculty to reach every student with the goal of creating confident lifelong learners. Students are supported to understand learning and themselves as learners, families are engaged in supporting their children as learners, and faculty are inspired to develop expertise . 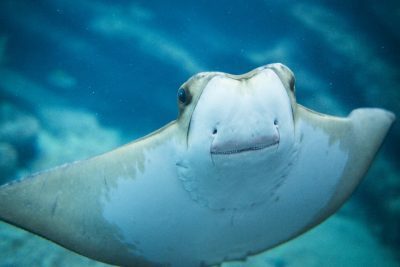 . .
uShaka Marine World will be hosting a five part course which includes presentations, hands-on-learning and identification practice as well as detailed course notes and a guided tour of the aquarium. Subjects covered include Oceanography, Biodiversity, Classification, Fish Identification and Marine Ecology taking place every Thursday evening between 25th April – 16th May from 18h00 to 20h30 as well as Saturday morning 18th May from 08h00 – 11h30. Regret no children under 16’s. For booking enquiries please contact Phiwe on (031) 328 8128 during office hours or email education@seaworld.org.za CLICK HERE to submit your press release to MyPR.co.za. . . .